Marseille, France - A car filled with gas cylinders was today found parked outside a synagogue in the south of France. The vehicle was discovered by cops next to the Bar Yohaye synagogue in the French city as it was holding a service for dozens of worshippers. 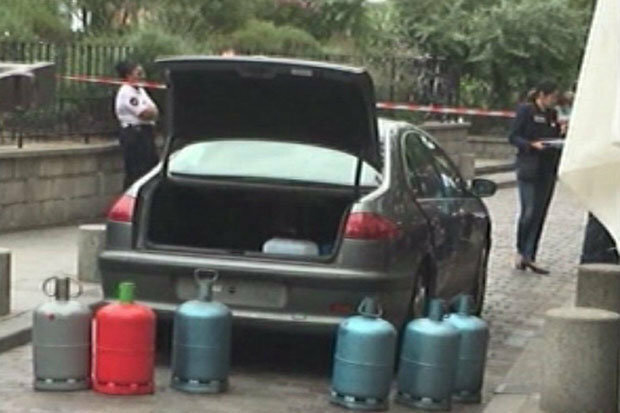 It came just a week after another car – also filled with gas cylinders – was left outside Notre Dame Cathedral in Paris. Cops have apparently confirmed the cannisters were filled to the brim with petrol and could have been used to explode the vehicle. Local media reported it was dicovered at around 11am, leading to a mass evacuation of the area. Laurent Nuñez, the police commissioner of the Bouches-du-Rhône region, said an investigation is now set to be carried out. He added that no detonation device was found. Maybe it's the work of the Sochnut, to enhance more Aliya . . .
Yeah like they brought down the twin towers ,15 years ago ,, You got a twisted mind !